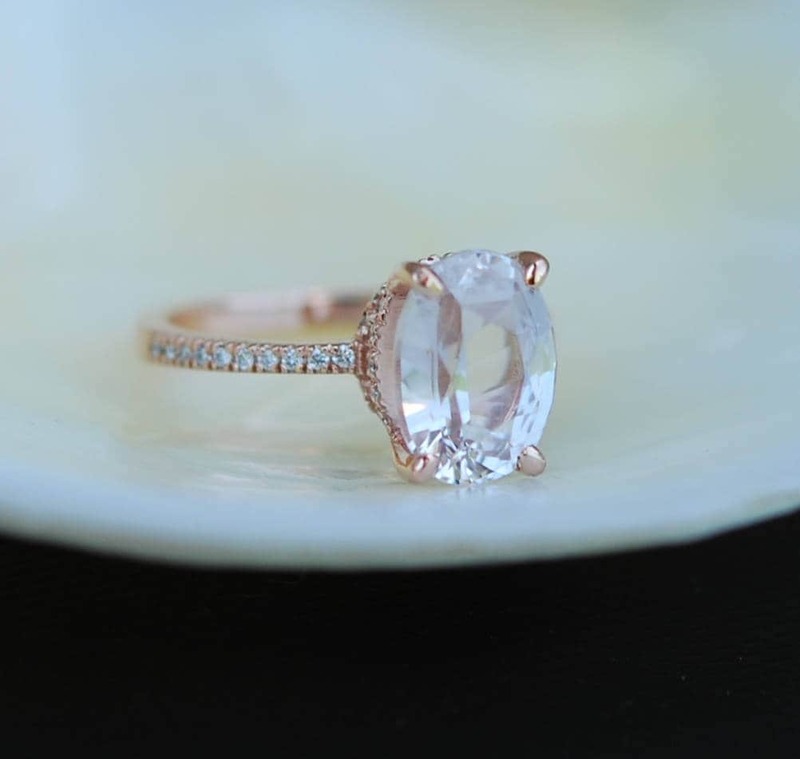 Absolutely amazing ring! 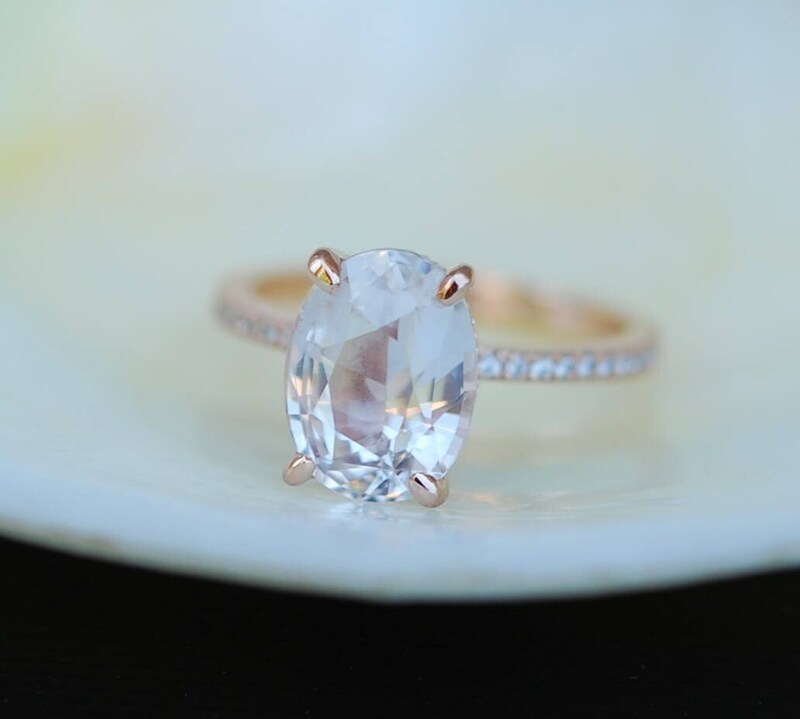 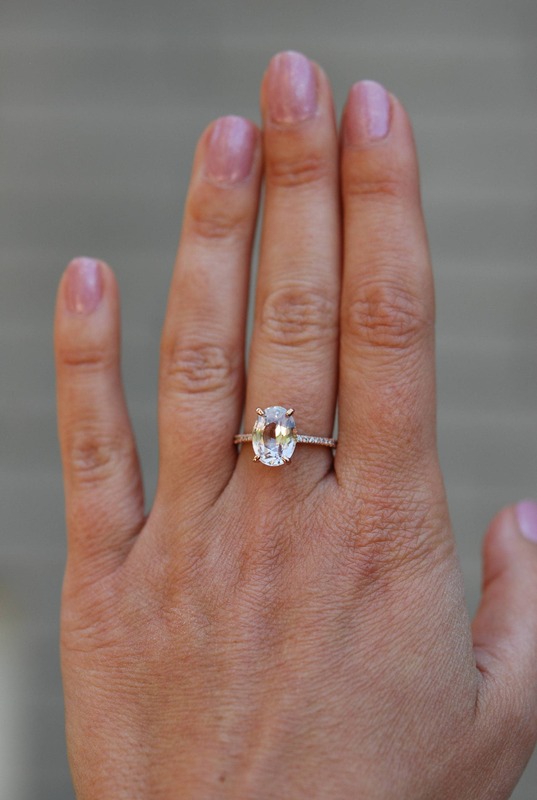 It features a natural non-treated White sapphire - sparkling and clean. 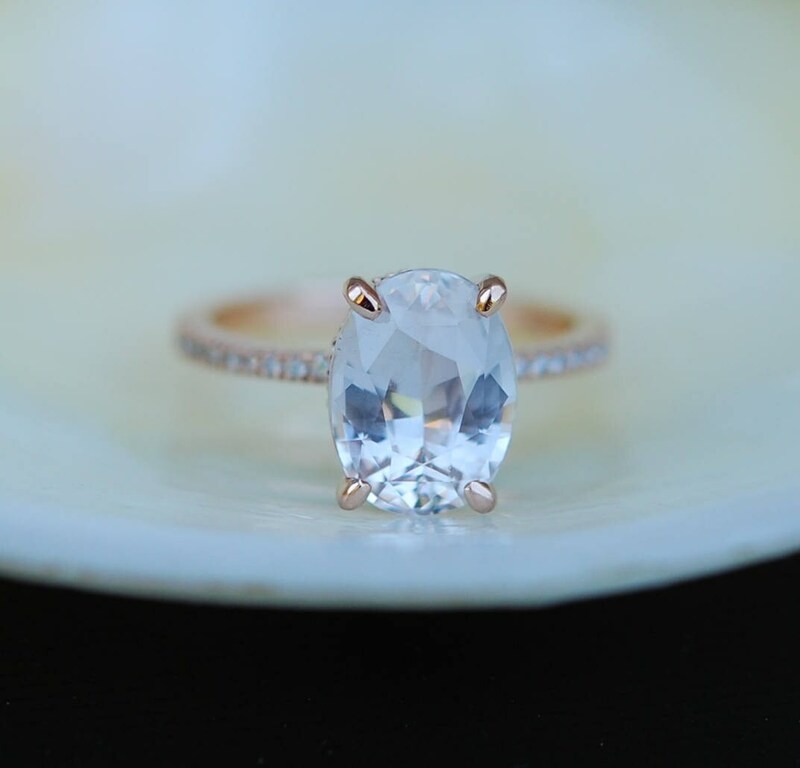 This stone is 3.9ct, eye clean, unheated.It is set in my upgraded VS/F diamonds 14k Rose gold setting.